Qantas has committed yet another ‘faux pas’ on social media after pornographic spam was posted on its Facebook page in the middle of the night and seen by a nine-year-old boy, indicating that even large, global companies like Qantas are struggling to adapt to the always-on nature of social platforms. The boy had visited the page to enter a competition the airline is currently running. The image was left up on the page for up to seven hours and was removed after the boy’s father complained to the airline. Currently the airline’s social media pages are only monitored during business hours. It is not the first time Qantas has gotten into hot water over its social media accounts. In 2011, furious customers took to social media to slam Qantas’ decision to ground its fleet after workplace relations discussions turned nasty. 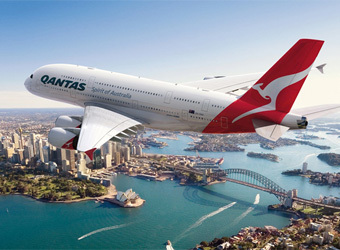 The airline was also left red faced after the #qantasluxury debacle where customers were encouraged to tweet in their ideas of ‘Qantas luxury’ to win a pair of first-class Qantas pyjamas. Customers instead used the hashtag to air their grievances about the airline. “We do monitor our Facebook presence very closely and have numerous filters in place to prevent inappropriate content, but this is obviously a challenge facing all companies using social media,” the spokesperson says. Social media expert and CEO of Quiip, Alison Michalk, says, so many brands just aren’t doing enough moderation after hours. Michalk doesn’t think it would be hard to increase the monitoring of social media pages for a global company like Qantas, and is definitely something they should be looking at, particularly with this lastest gaffe affecting a minor. It’s dangerous territory for brands, as inappropriate postings to a company’s social media pages may cause issues beyond outrage and customer complaints. Last year the Advertising Standards Board ruled that posts made by anybody to a Facebook page were deemed advertising and therefore must adhere to the Board’s Code of Practice, meaning exposure of lewd images to minors has the potential to spark legal action against a brand.